"I've got some Busa lights like these in this video, hit me up!" LOL....Yes Rich I can handle my bike....since 2007...Jumped right in it....A girl doing her thang!!! HAPPY NEW YEAR!!! to U an ur's my Brother. Welcome to the site...enjoy...LOVE your bike!!! I've got some Busa lights like these in this video, hit me up! 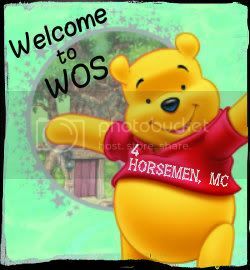 WELCOME TO THE WOS FAMILY AND ENJOY THE SITE.